The world’s biggest music poll, Top 100 DJs is proud to officially announce that it will once again partner with the world’s leading international children’s organization UNICEF. Receiving votes from 179 countries, the Top 100 DJs is a definitive annual guide to the world's most popular DJs and a living symbol of the strength and diversity of the global electronic music scene. Through the power and unity of music, DJ Mag seek to further expand on last year’s donations and utilise the Top 100 DJs platform in support of UNICEF’s work for children across the globe. Voting for the 2018 edition of the Top 100 DJs Poll begins on Wednesday 11 July at 12pm BST, and runs until Wednesday 19 September at 11.59pm BST. As part of the voting system this year, DJ Mag have introduced an optional SMS two-Factor verification option for voters for the first time. This new system opens up the poll to users, for example China, who are unable to use Facebook or Google to register a vote and offers the possibility to have and more inclusive global audience participating. The results will be announced on 21st October during a special awards ceremony at Amsterdam Music Festival in front of 35,000 fans, during the world-renowned Amsterdam Dance Event (ADE). In 2017 four million people tuned in to watch Martin Garrix be crowned The World’s No.1 DJ for a second time. Full details and line-up reveal for the 2018 ceremony will be announced soon. On the night, fans will also be able to follow the announcement of the Top 100 DJs Results across DJ Mag's digital and social channels, culminating with the unveiling of The World’s No.1 DJ. The print magazine will then issue the Top 100 DJs edition on 25 October, featuring interviews with all Top 100 DJ entries in the poll. 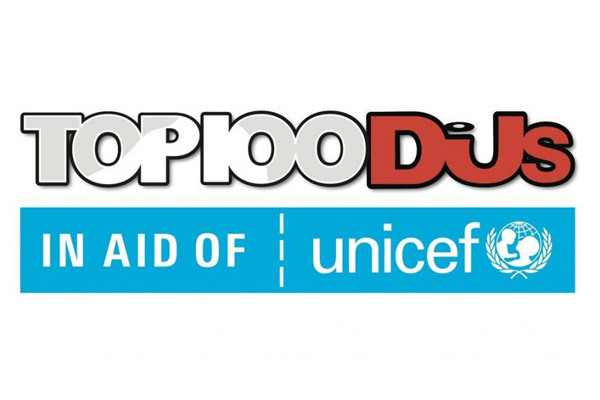 DJ Mag Managing Director, Martin Carvell, said, “We’re very proud to have UNICEF as the charity beneficiary of Top 100 DJs for the second year. Both the Top 100 DJs and the dance music industry have grown immensely over the last 25 years, and we feel that it is vital that we work together as a community to give something back. MUMBAI: David Guetta, the most successful music producer of the 21st century and one of the world's most sought-after DJs, is going to headline this year's Sea Dance Festival in Montenegro, promoted by the award-winning EXIT Team, scheduled from August 30 to September 1, 2019! Following the release of his heartfelt single ‘Pray’ with British pop sensation Conor Maynard, Brazilian superstar DJ Alok takes a different direction for his second release of the year. MUMBAI: After amassing over five million streams on her first single, Inna returns with the second song off forthcoming album, Iguana. The 11-track album YO is written entirely by the artist in Spanish and produced by David Ciente. MUMBAI: A slick and melodic production which showcases the signature styles of the trio, ‘Uncomplicated’ utilizes luscious chord patterns topped with vocals from Matthew Steeper.